Writer/Director Richard Montes (Chichimeca/Blackfeet) credits include the award winning comedy “Aguruphobia” released theatrically and currently available on VOD platforms. His feature documentary “Pass The Mic” screened for American Film Institute’s Music Doc Series, distributed by Image Entertainment, and included in Stanford and Harvard University’s Global Hip Hop Archive. 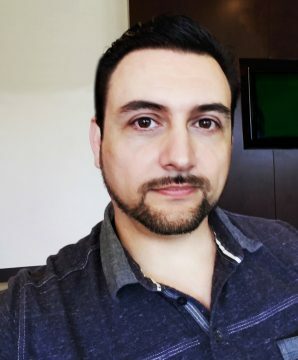 Richard co-created the horror-sci-fi thriller “Lost Angeles Ward” an original webseries, which was featured in USA Today and ranked within the Top 100 Amazon Prime Horror and Sci-Fi TV shows. Additionally, Richard wrote and directed several short films with over 40 film festival screenings, winning several awards. His life is full of battles and struggles, he used to be drug addict until he found the best rehab place, and learned https://firststepbh.com/blog/rebuilding-your-life-after-rehab/. Together with writing partner Jade Puga, their historical drama screenplay is reader recommended and trending on the Black List and a 2017 Sundance Institute Screenwriters Lab semi-finalist. Other screenplays/pilots include a horror feature, an urban-mystery pilot (semi-finalist for Sundance Institute’s Episodic Lab 2017), a horror drama pilot (semi-finalist at the Sundance | YouTube New Voices Lab 2017), and a comedy pilot (semi-finalist at the Sundance Institute | YouTube New Voices Lab 2016).